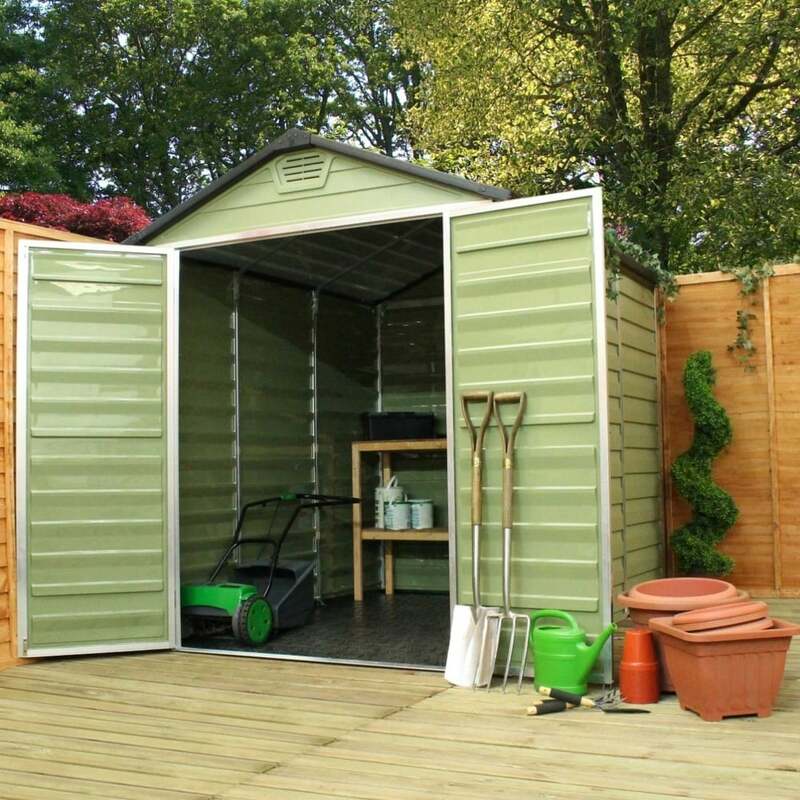 Mercia 8 x 6 Green Apex Plastic Shed: The Mercia 8 x 6 apex shed comes in this spacious design and provides a secure storage unit for all your garden essentials. The Mercia outdoor shed is constructed using durable polycarbonate sheets designed to withstand unfavourable weather conditions and rust free aluminium framing to provide a solid structure. The Mercia shed features double doors for easy access, a pad-bolt for additional security and also includes two air vents to encourage airflow to prevent the build-up of condensation. The 8 x 6 Mercia shed includes a 10 year manufacturer's guarantee designed to offer many years of service.